Did you know that there’s another trail system in San Francisco? The trails have been off the radar for some time. SF Urban Riders is proud to announce that they’re working with the Laguna Honda Hospital and Rehabilitation Center in improving the historic multi­ use trails. 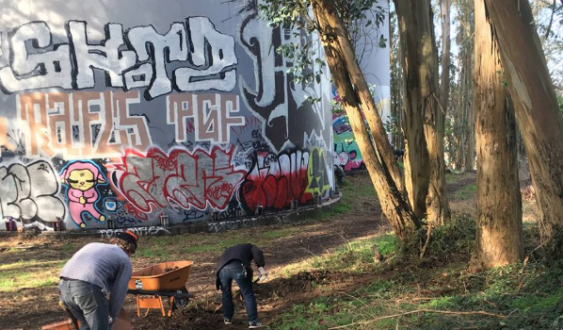 This effort engages the community and new volunteers to build the trail, it also creates a new destination for visitors, is an asset to the Hospital community, and will become part of the larger San Francisco trail system that connects people in the City to a wild, inviting and educational open space.